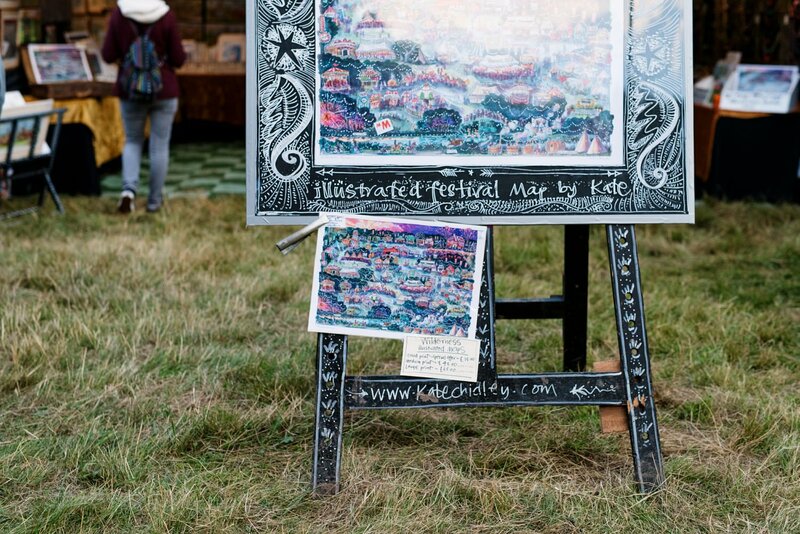 I shared my pictures from Wilderness Festival earlier in the week. 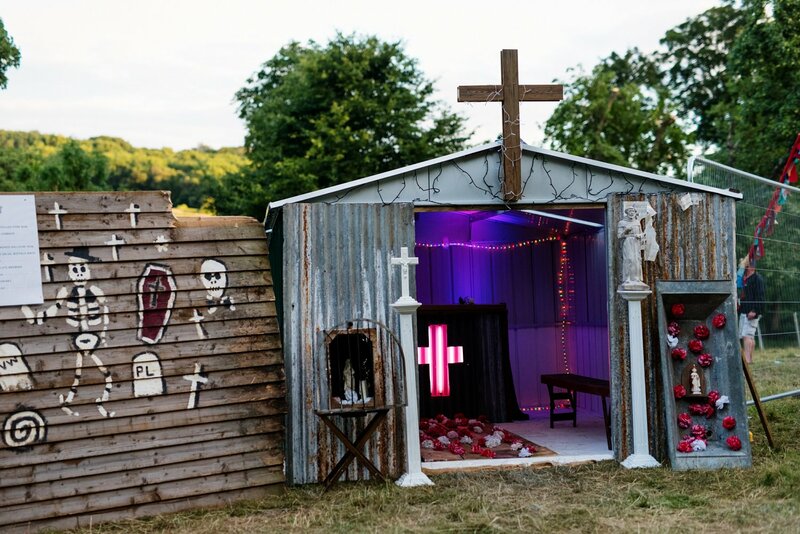 I love festivals and festival weddings, so I thought I’d share some festival wedding ideas from Wilderness Festival that are great inspiration for styling your own wedding festival. You might also want to check out this post about outdoor weddings and of course if you’re looking for a wedding photographer for your festival wedding, do get in touch. 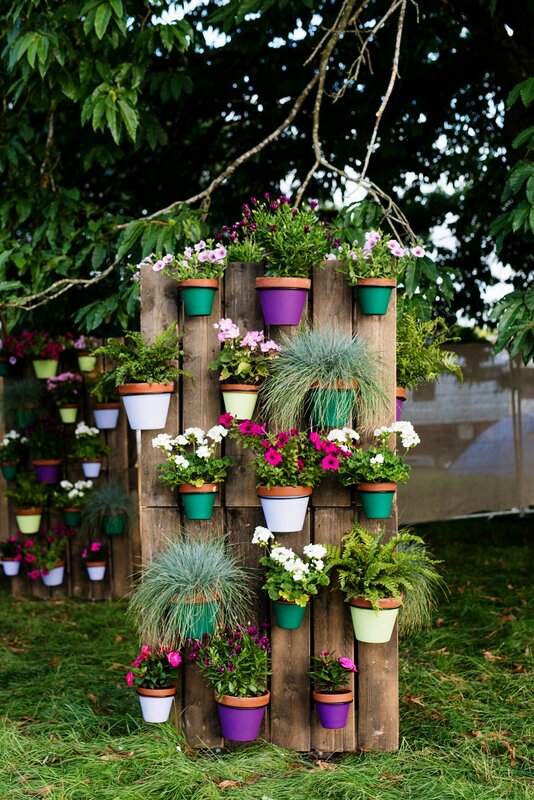 First up are these colourful plant pots, attached to a wooden backdrop. This would work really well with wooden pallets and you can pick up mismatched pots easily at garden or home ware stores. If rustic and colourful isn’t a good fit for your vibe you could paint the pots in neutral colours and fill with mixed succulents or even paint the pots in metallic tones and fill with different grasses or air plants. Nothing says festival like a flag and I doubt they’ll ever go out of festival fashion. 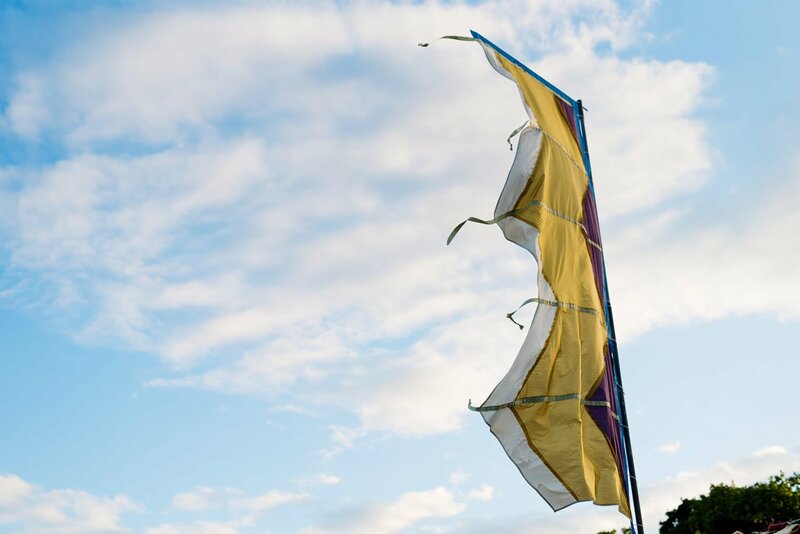 You can hire festival flags from companies like Event Flag Hire and they even offer all white, wedding packages if you’re looking for neutral decor. 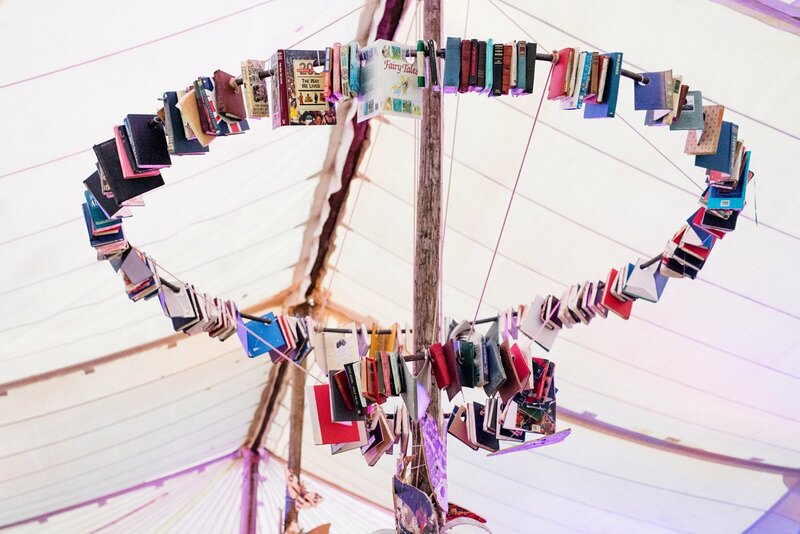 I loved this book installation in the Wilderness Festival Forum, where lots of the talks were taking place. If you are having a literary theme this would be a great decor idea, although the idea of cutting holes in books does make me feel a little bit funny… You could even intertwine the hoop with fresh flowers to create a softer, prettier feature. 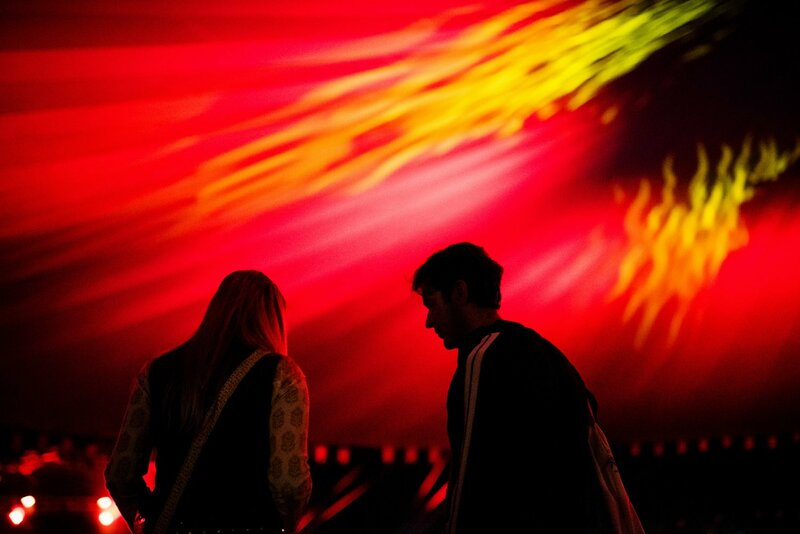 Festoon lighting makes everything more awesome. That’s all. 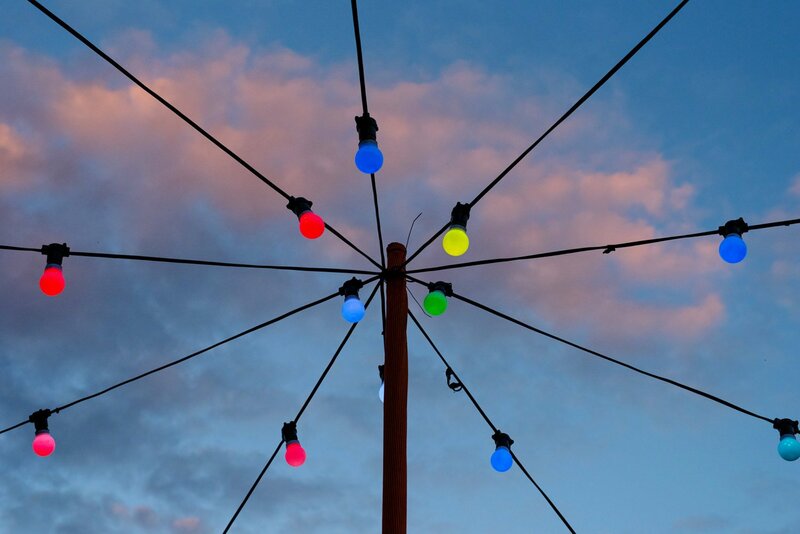 I really loved these colourful festoons at Wilderness, although any kind of festoon lighting looks beautiful. Sting them across fields and don’t forget to ask your festival wedding photographer to take a shot of you with the lights as a backdrop. 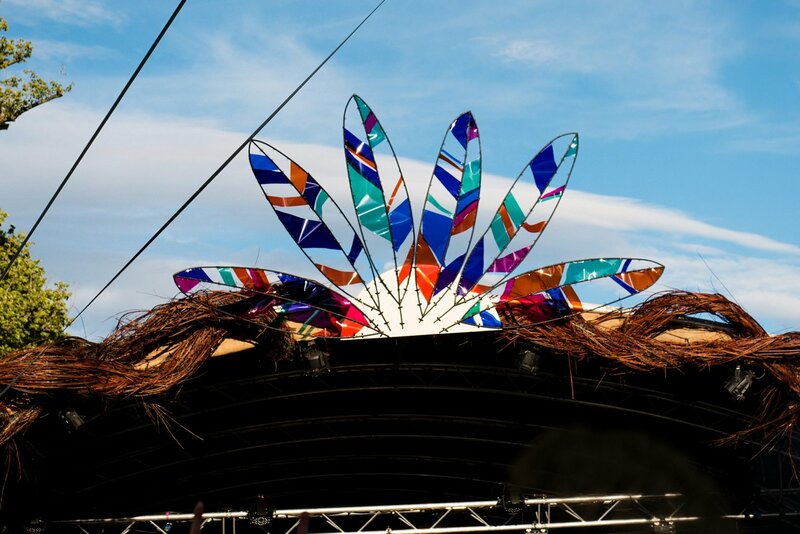 I loved this feature with brightly coloured, translucent feathers which sat on top of one of the stages. You could replicate it really easily with wire and sections of coloured acetate, and if you place it in front of a light source it would create some cool reflections. 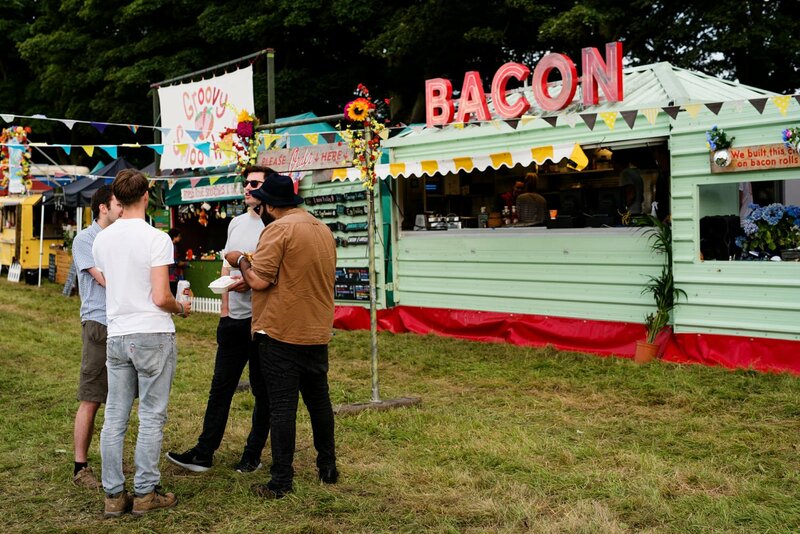 You can’t beat street food for festival catering and the food at Wilderness was just brilliant. My highlights included dumplings from Dorshi, a mind blowing cheese toasty from Hobbs House Bakery and a Bleecker Street burger. If you’re looking for street food for your wedding, Kerb is a street food collective in London and they supply events. Finally I really liked this pretty and simple decor, in the Wilderness banqueting marquee. 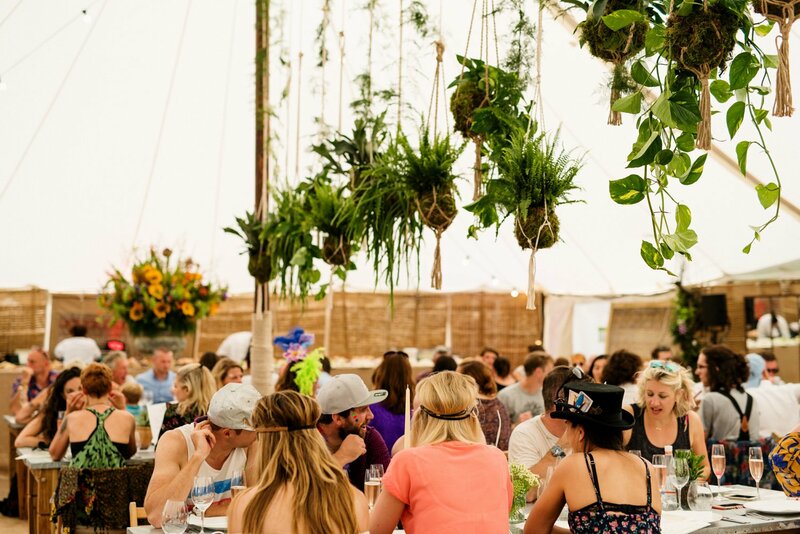 Plain tables are brightened up with colourful table runners and geometric floral arrangements hang from the roof of the marquee. I love the geometric hangers, they’re fab and really different from anything I’ve seen before (and I see quite a lot of flowers in the course of my job!). Are you having a festival wedding? 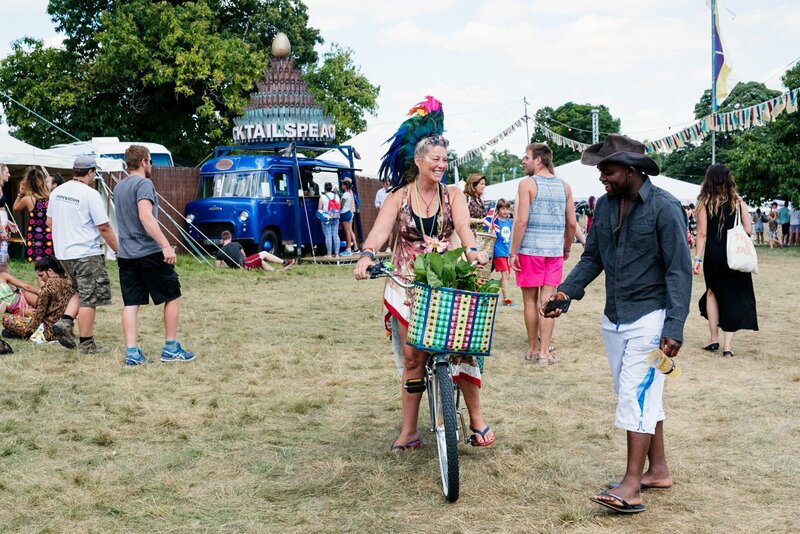 Share your festival wedding ideas in the comments and swing by Pintrest for some more Festival Wedding ideas.